All of the rooms and suites are spacious and offer panoramic views across the Nile to the island of Zamalek and beyond, or towards the 12th-century Citadel. An extensive outdoor terrace features three heated swimming pools, while the spa offers a comprehensive range of massages and all-natural spa treatments, as well as a sauna, steam room, whirlpool and indoor pool. There is also a 24-hour health club with state-of-the-art fitness equipment. Four restaurants offer a choice of cuisines, from Mediterranean to sushi and regional Middle Eastern specialities. 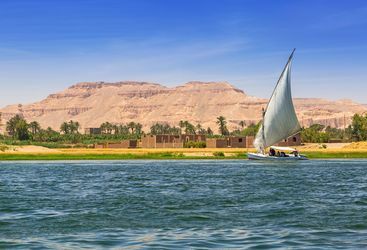 Cairo's main attractions are within easy reach, and Nile cruises or visits to the pyramids can be arranged. The hotel's spa is the biggest in Cairo. Amelia is our 'Four Seasons Nile Plaza' expert and as a seasoned traveller has the inside track on the most memorable adventures.